Call IDEAL Placements if you want help to gain employment? IDEAL Placements is an employment specialist, we always focus on the positive approach of, what the participants can do rather than what they can’t do! 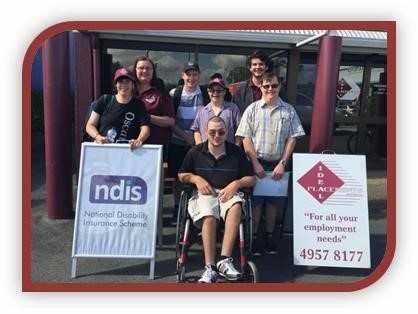 At IDEAL Placements, we provide a range of employment services for programs such as the Disability Employment Services (DES), Transition to Work (TtW), Ticket to Work, Becoming a Worker (BAW), Skilling Queenslanders for Work and now the National Disability Insurance Scheme (NDIS). We work closely with our customers to find their strengths and skills and placing them with appropriate workplaces with employers who are supportive, this is our speciality. The goal of Customised Employment is to tailor meaningful employment/self-employment opportunities to fit the skills, interested, strengths, and support needs of the individual whilst meeting business and the market requirements. Support staff gathers information about a customer’s individual interests, strengths, the types of support that are most effective, the skills the individual has, and the types of environments and activities where this person is at their best. This information is gathered in a series of interviews, observations and activities that occur in natural environments and that are typical to the individual. So, if you feel are would like to gain employment, voluntary work or work experience or you have a NDIS goal that relates to employment – IDEAL Placement is the service for you! IDEAL Placements has successfully run the Becoming a Worker program for 10 years and achieved successful outcomes by finding paid employment for the participants. Supporting the participants in seeking and retaining a job and feeling comfortable in their new role is part of the everyday practice for IDEAL Placements and the success of the participants shines through when they reach their goals.